The winter was chilly but electric in Kamurocho, the premier entertainment district in the east. Here, money buys luxury, and luxury is a way of life. 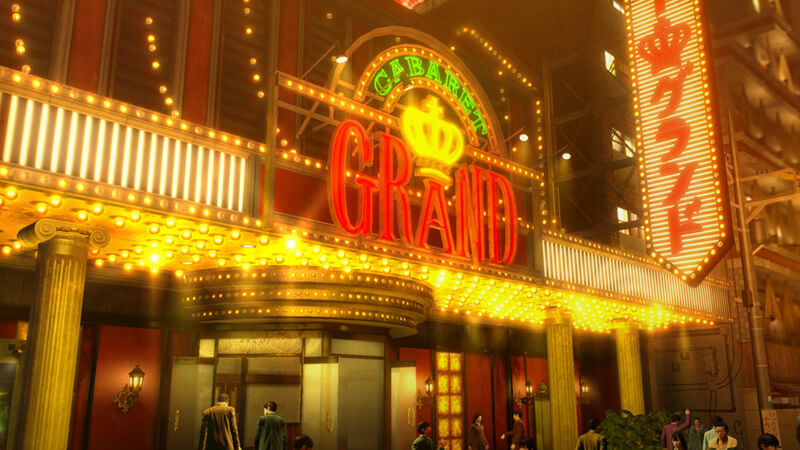 With the nation's economy at the height of a boom, the people of Kamurocho believed that nothing they could wish for was out of reach. But there are some places where money only goes so far. A vacant lot. A humble square of concrete and weeds, hardly the size of a parking space. 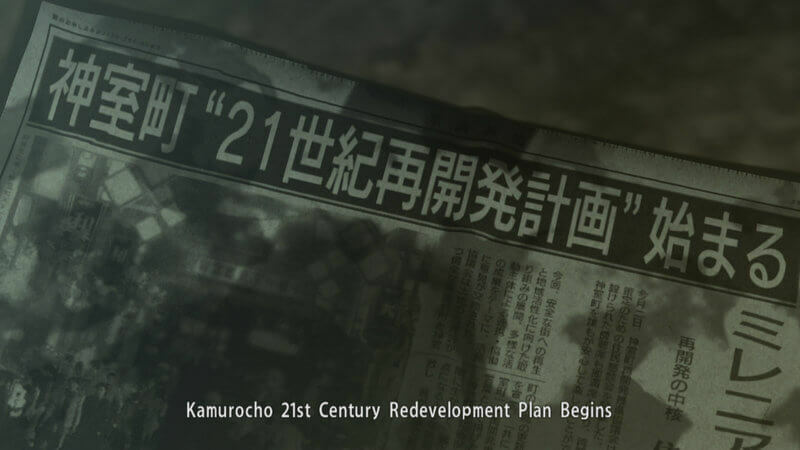 The Kamurocho 21st Century Revitalization Project is underway, and to own the land is to hold the power. Whoever can obtain the final piece in the puzzle, this tiny patch of ground, will have the leverage to change the balance of the city and spearhead a mammoth commercial property known as the Millennium Tower. Two men are flung into a conflict they do not yet comprehend. Those in power have every intent of burying them in this sea of change, unaware that they were setting events into motion that would give birth to legends. 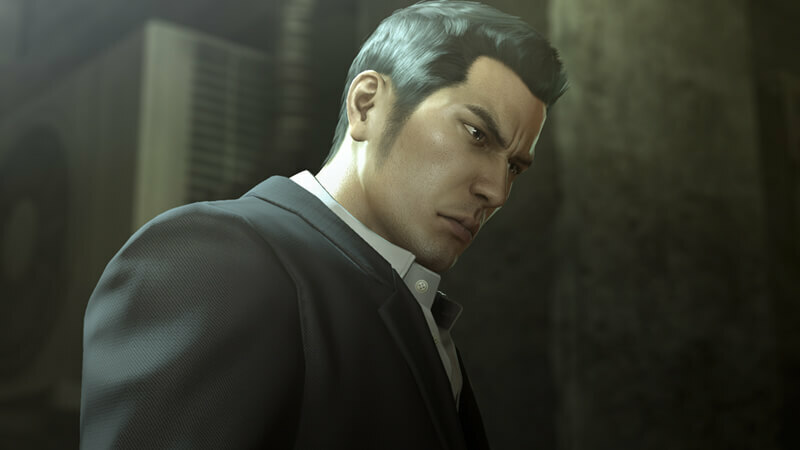 In the streets of Kamurocho, light and shadow are two sides of the same coin, striking a rare and harmonious balance. While most live their lives on a single side of this coin, one man finds himself spinning in the middle. He has too much darkness for the light, and a sense of justice too bright to stay in the shadows. In a city filled with dreams and desires, he may be the one person who doesn't know what he wants. While a disquieting shadow falls over Kamurocho, one corner of Kansai was emitting just as much heat. Sotenbori, Osaka. A city overcrowded with people delirious from their neon light-induced fever. 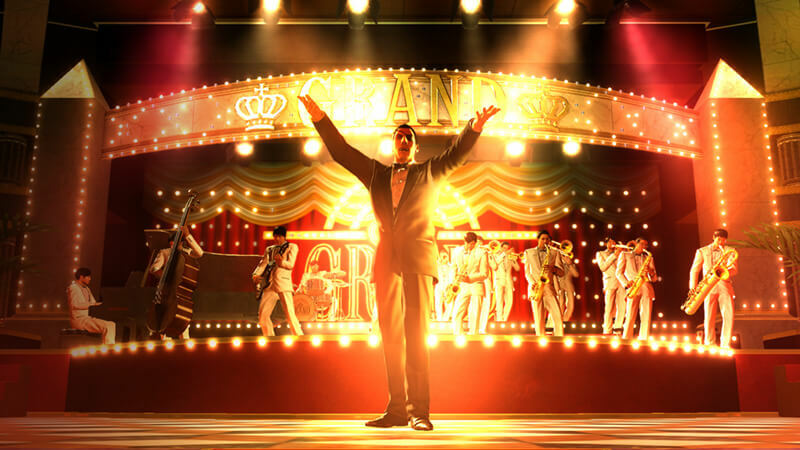 From the ashes of a cabaret on the brink of closure, the "Grand" rises to the number one play spot in Sotenbori, and its manager becomes known throughout the city as the "Lord of the Night." With an air of sophistication and danger, his dashing figure pierces the dazzling lights. 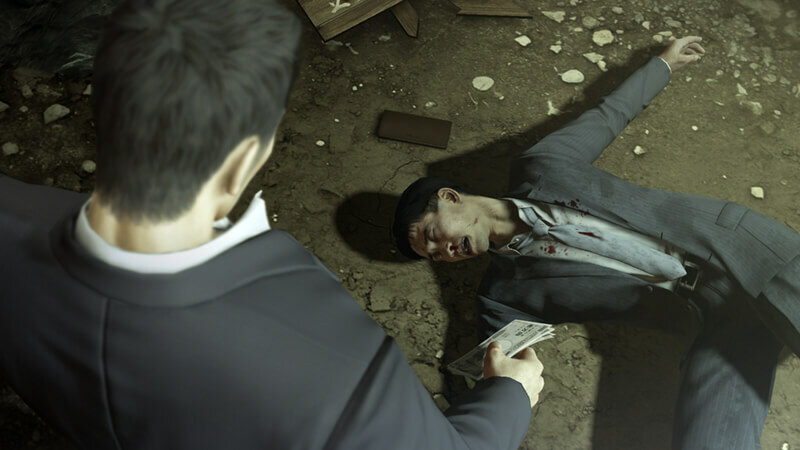 Money, fame, women -- Goro Majima has everything... except what he actually wants. 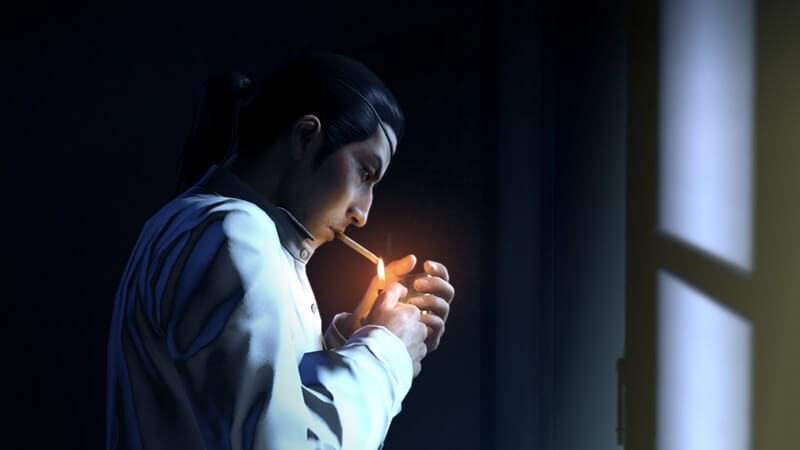 Majima is serving a sentence, and Sotenbori is his cage. He yearns to rejoin the Tojo Clan from which he was expelled, and one day, that opportunity presents itself. But the choice he must now make will have consequences that will reverberate through his entire life.